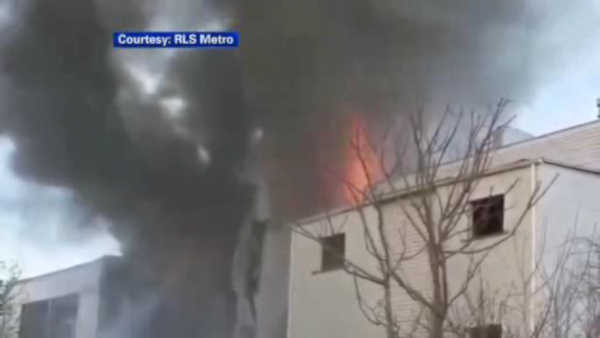 BLOOMFIELD, New Jersey (WABC) -- A three-alarm fire left six families without a home in Bloomfield, New Jersey. Flames broke out shortly after 6 p.m. Saturday on Charles Street and spread to a total of three buildings. Thick smoke could be seen from miles away on the Garden State Parkway. Bloomfield Mayor Michael Venezia is asking for people to donate clothing to the victims. Among the victims were five young girls. The Red Cross is also assisting the families who were affected. Chief Inspector Samuel Infante says the fire department will know more about what started the fire on Sunday.